Our Club lost a dedicated member of its tribe on March 9, 2018. Roger was a regular at our Club meetings along with his daughter, Sally and son-in-law, Ray. Here are some words of remembrance. I am missing my friend Roger. 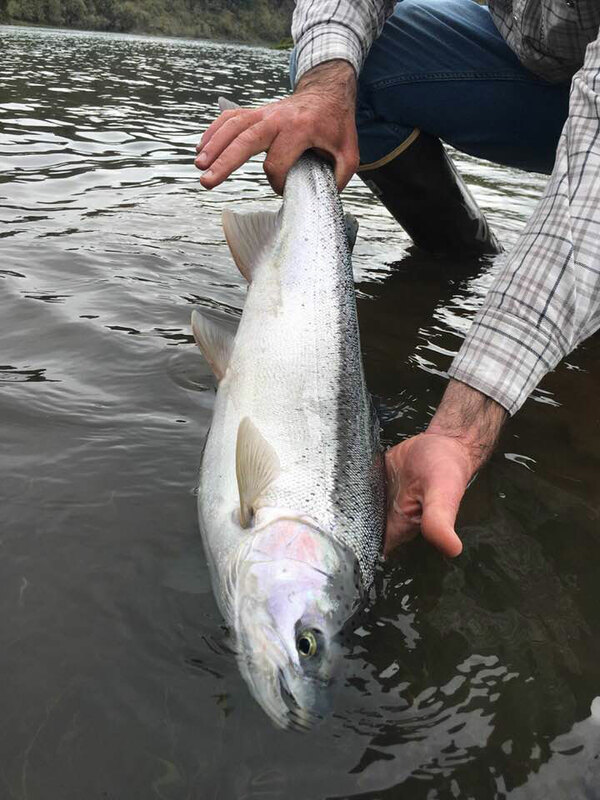 He was a beneficent water resources commissioner in our first meeting in 1991, and thereafter a colleague and friend at Oregon Trout, Native Fish Society and WaterWatch of Oregon. My thoughts are with his wonderful family and the large collection of the most interesting people in the world who considered Roger their dear friend as well. Roger always wished to be on the river – something we shared – and I know I will see him there whenever I go. I am proud to be a member of Roger’s tribe. He welcomed me as the first regular woman in the Club some 14 years ago. Roger made you feel like you belonged from the start. And that was very reassuring back then as some of the more conservative men were not opening their arms to a female member in their midst. 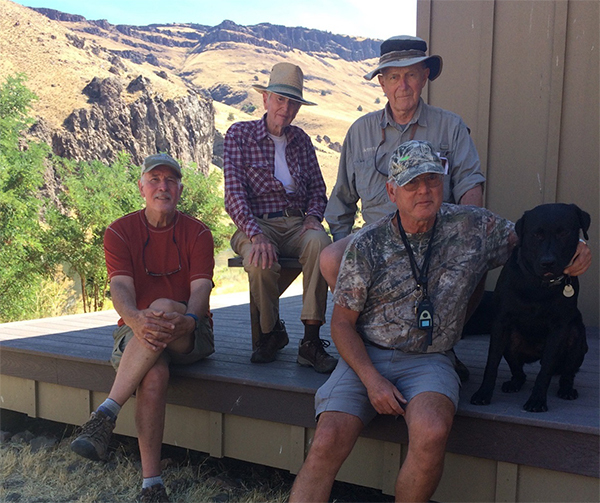 Many Club members have had the privilege of visiting and fishing the home waters around his Fitzpatrick Homestead on the Deschutes. When I mention the famous Indicator Pool I’m sure it invokes fond memories of perfect drifts and fantastic takes. Roger guided me on my first trip to the pool. He stood in the water tucked in near the brush and let me know just how far I could safely wade. He knew the lane where the fish would hold and shared my excitement when fish after fish took my flies. And he warned me to watch for rattlesnakes on the way back to the cabin. Advice well taken! I learned much from Roger when he would speak up during a meeting with a question or comment that revealed his depth of knowledge of the challenges that face our wild native fish. I found this editorial he submitted just 4 years ago that concisely lays out the threats hatchery steelhead pose to their wild counterparts. I appreciate how his regular presence at our meetings, along with daughter Sally, son-in-law Ray, and other friends, was part of our Club’s ambiance. And I value now more than ever the greeting kiss I was privileged to receive each month (one of the perks for a female member!). Roger, I miss you. Thank you for sharing yourself, your homestead, and your wisdom with us. John Pyrch, Tom McAllister, Roger Bachman, and Jack Hart last September meeting at Roger’s Fitzpatrick homestead to brainstorm on content for a new edition of The Creel. Click here for more pictures remembering Roger. If you have more tributes to send for Roger Bachman, please send them to your newsletter editor, Lisa Hansen, at kwaterbuff@comcast.net. We are doubly sad to report another tragic loss for the Club as Tom McAllister passed away in March as well. We are putting together a tribute to Tom for the May Flyline. Please send your thoughts, stories, and pictures to Lisa Hansen.